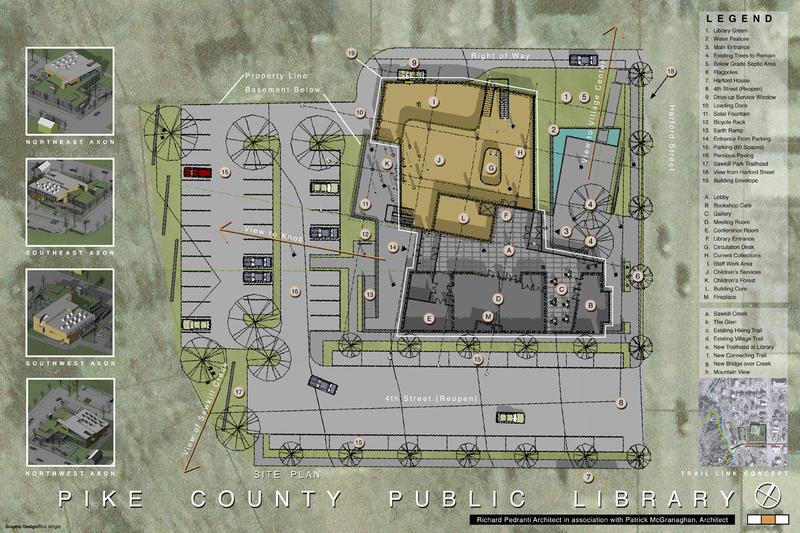 An open competition for the Pike County Public Library in Milford, Pennsylvania. The site is a large town lot on a main street in the Milford Borough Historic District with views of the forested mountain ridge that creates the backdrop to the town. Working within the planning patterns of the historic village dictated that the building be placed close to the main street reinforcing the pedestrian character of the village. 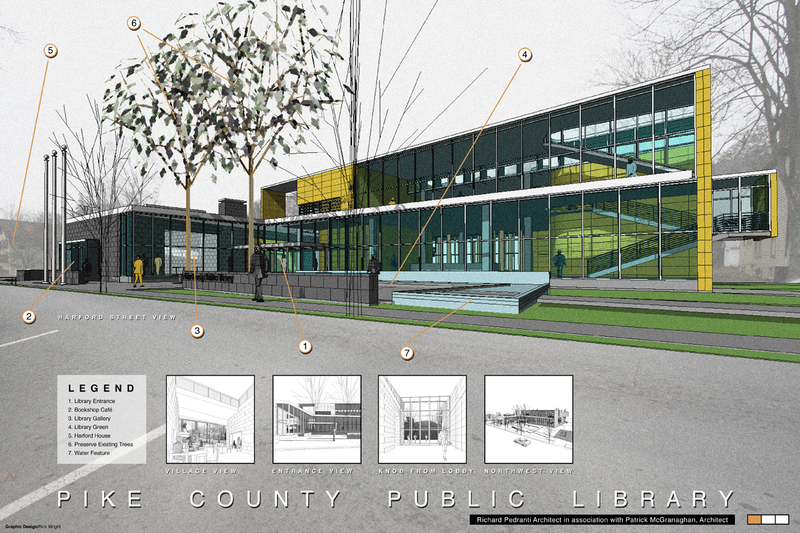 Two separate forms are employed to divide the community service functions from the library itself. The two forms are connected by entrance space that captures uninterrupted views of the forested mountain ridge beyond. A forecourt with water features provides space for village activities while the rear of the building provides service space and parking. The style of the building is modern, but the proportions are traditional and reinforce the well-established scale of the historic district. 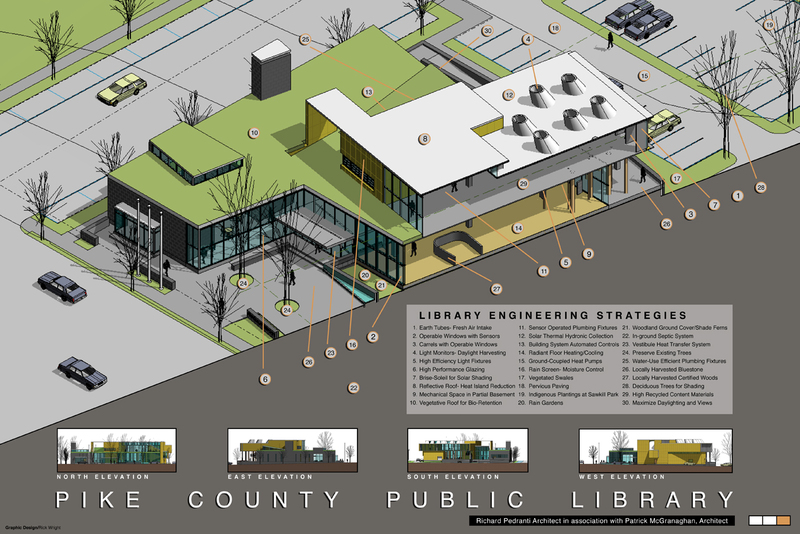 The design includes many energy efficient features such as daylighting, passive solar design, high performance glazing, and heat recovery ventilation.